The W position is working great for me. I can now enjoy all that Homer, Alaska has to offer by way of the water and I can get a good workout as well without my legs going numb. I have MS [Multiple Sclerosis] and exercise is crucial for me to stay ahead of this disease, and cycling is getting to the point that it’s hard for me to even get my heart rate up much less get a workout. 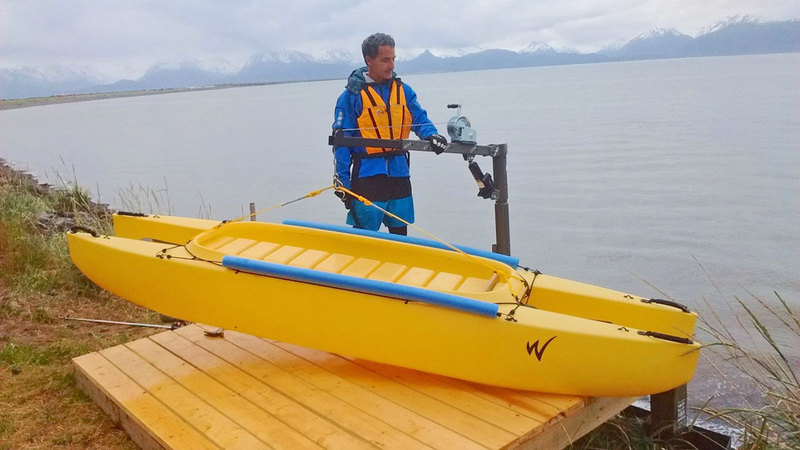 The Wavewalk now allows me to work my strong upper body, get a good workout, and enjoy the beauty of Alaska’s coast line. I may even catch a few fish! This is very exciting and inspiring… I’m happy that you can enjoy more freedom now! I’d like to use the opportunity to thank Gene Andrews, Wavewalk’s dealer in NE Florida, who showed Pat and Kathy the W500 last year, while they were on vacation there. Pat Irwin has had Multiple Sclerosis since 2003. A former Pro ultra-distance cyclist, the recent progression of MS has been overwhelming, and his exercise options have been limited. Now he cannot sit in a normal kayak, due to the progression of MS on his left leg and lower body. 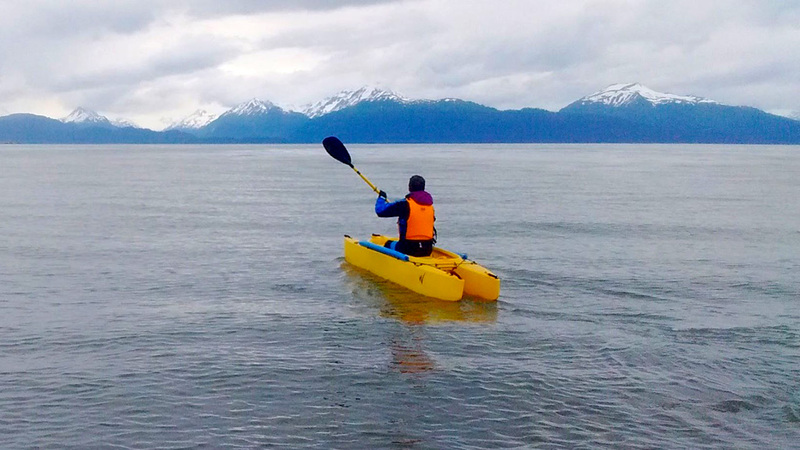 He lives by the ocean in Alaska and would love to get out there on the water and paddle and be free (his upper body is working ok). This particular kind of boat (WaveWalk) would be great for him; he can sit in a straddle position or stand and move his legs around when they get numb. I’m glad to see the tide made it in for you, Pat, and that you’re able to get some good exercise. You may want to add a couple of flush mount holders on those rear hulls for fishing rods. Fighting those big salmon up there should provide a nice upper body workout to complement the paddling. 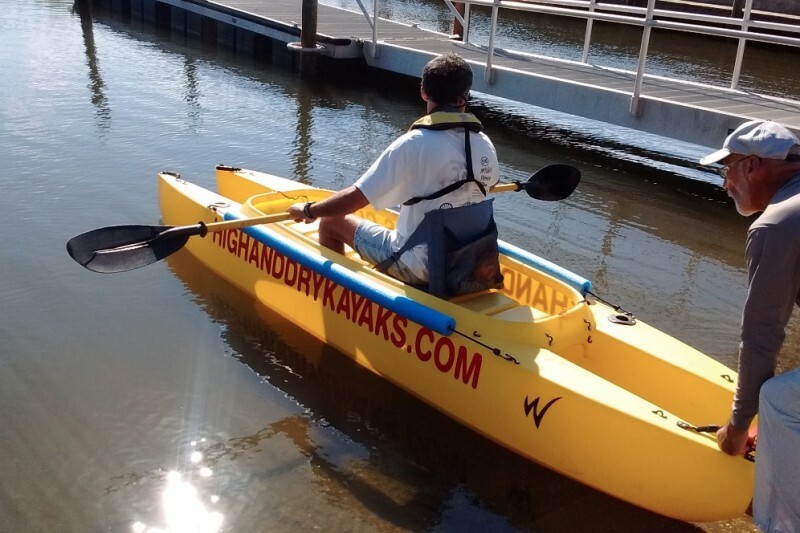 Wavewalk kayaks truly offer a great workout with great comfort for everyone. It’s great to see you out on the water Pat. Keep up the good work. How about some more pics of that great scenery?